This can be up to 31 characters long. It may not contain spaces and it must be unique. Comments on Invoices: Codes that start with an asterisk (“*”) are handled specially by the forms (purchase orders, invoices etc) provided with MoneyWorks. 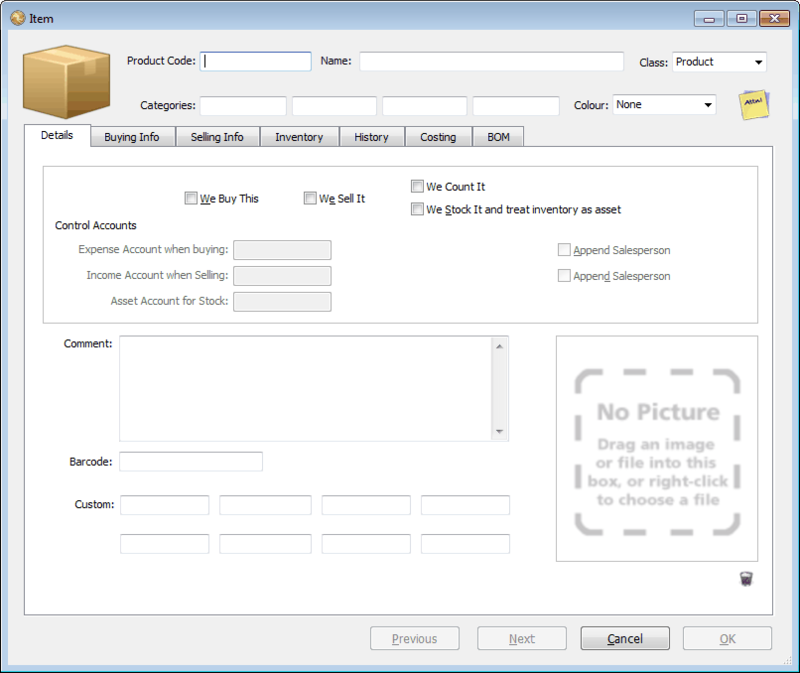 Specifically their code, quantity and price will not be printed, allowing you to have comments on your forms. This can be up to 255 characters long. It is transferred to the description in the transaction detail line when the item is used. This determines whether the item can be inventoried or manufactured, whether it can be used in the freight section of the order entry system, or will be flagged as “time” in job costing. The class can be altered later, with the proviso that it can only be changed from a product to another class if it is not inventoried. You can have up to four categories for each item. These are useful for searching, and are also used in the Analysis facility. The categories can each contain fifteen characters. It is a good idea to ensure that like categories are put into the same field. For example, if you are selling clothing, you might use category one for the size, category two for the colour and so forth.